Racing Drones are a completely different breed to all the other drones available as they are obviously built for speed. Most racing drones are built and finely tuned to be as quick and easily controllable as possible. When first buying a racing drone you need to make sure that it is ready to fly (RTF) as most of them are not. Most Racing drones come in kits which need to be put together. Some people just buy drone plans and make their own drone out of all different parts. The first two drones bellow are RTF so you can just buy them and start flying. 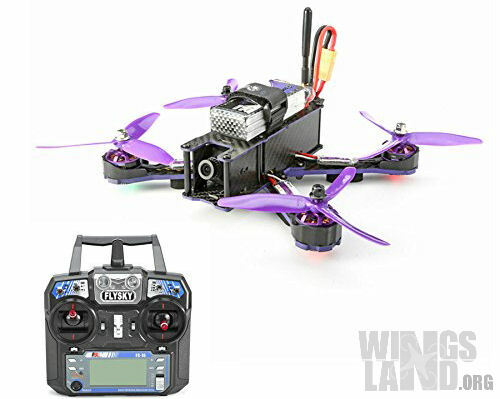 The Vortex 250 PRO is BNF, ‘Bind-N-Fly’, meaning it will usually need something like a transmitter or battery. Some stores even sell it as ‘ARF‘, almost ready to fly. This usually means that the quadcopter needs to be assembled. When you go to buy a BNF drone just read the description carefully to make sure you know what else you need. The reason for BNF is because different flyers like to use different parts in their racers. Also some parts can be swapped from drone to drone. 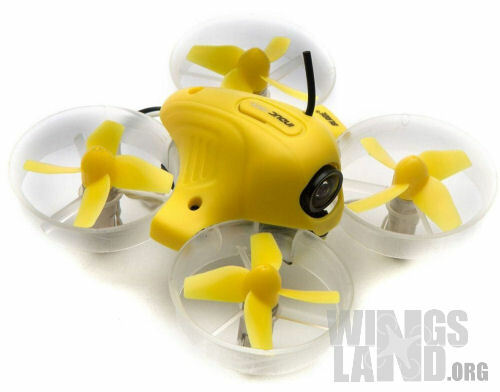 If you want to get into drone racing and don’t have much flying experience then get this little guy first to practice with. Just fly indoors to master your skills. Do not get a more expensive one to learn with as you will most likely smash it, the pros make flying look easy. Blade Inductrix is a lot of fun. The flight time is about 5 minutes which for a drone this small is pretty good. You can pick up a 4 pack of batteries and a charger that will charge them all at the same time for under $25. So for someone learning how to fly a racing drone you cannot go wrong with this one. When you have an idea of how to fly move onto the Eachine Wizard X220. If you have learnt to fly with other drones and have some idea how to fly then you might be able to move straight onto this one and skip ‘Blade Inductrix’ but it is a bit of a risk. The Wizard X220 does not come with any features like hover mode or return to home so you have to be on the ball when flying it. A lot of racing drones don’t have those features as the flyers are generally very good at what they do and don’t require such features. Also the Eachine is very easy to fly compared to some other drones for sale on the market. A max speed of 68MPH can be reached with the X220, this is an amazing accomplishment for such a cheap racing drone which is Ready to Fly out of the box. The 250 PRO really does live up to the ‘PRO’, it is a proven 250 class winner. One of the strongest racing drones you will find for sale with the frame mainly consisting of 2mm carbon fibre plates, which are near on unbreakable. Spare parts, repairs and tuning are easy enough to be done in the field. 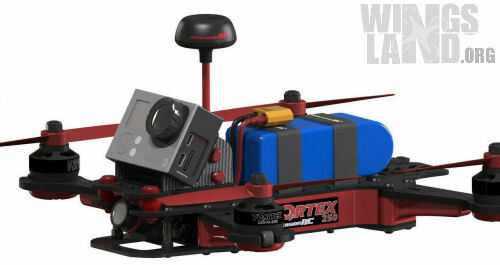 Also the Vortex 250 PRO is programmable in the field. In the Racing drone world it is said that this drone is really easy to learn, which is true. But We still recommend starting with one of the cheaper models if your have little to no flight time up your sleeve. Some stores sell the 250 PRO as ARF usually meaning it just needs assembly. Some models are sold BNF which means extra parts are probably needed before flying. Either way it should say in the product description. If you have enough flight time then go for the Vortex 250 PRO, you will not be disappointed.